Corn Potage (コーンポタージュ) is a French-influenced Japanese corn soup that's rich, creamy and ultra-smooth. My version is made with just a handful of ingredients with loads of umami accented by the natural sweetness of the corn. Summer is in full swing, and that means it’s corn season! Although I love all the bounties of summer, corn may be my absolute favorite. It’s fantastic boiled, grilled, or even shucked and turned into salad. 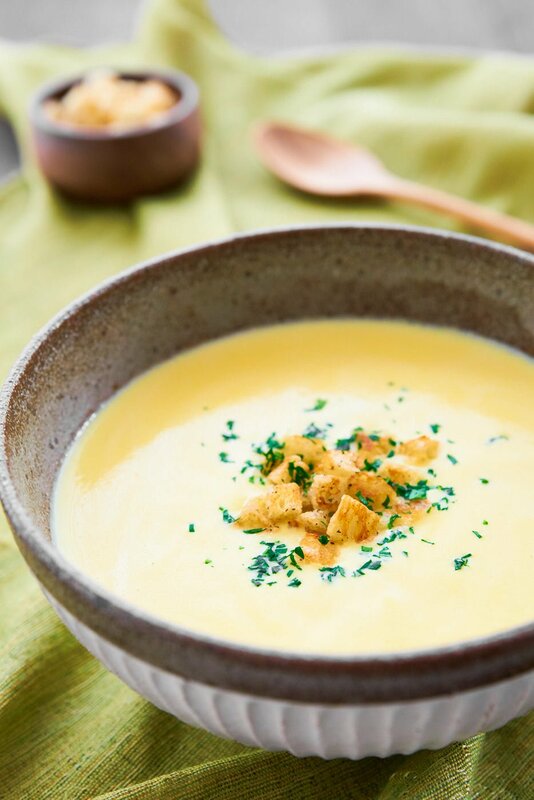 Its juices are also loaded with glutamic acids which makes it a fantastic base for soups like this corn potage. Potage (pronounced poh-tahj) was originally a medieval French soup made from vegetables cooked until they formed a thick porridge. With many people keeping small kitchen gardens at the time, it was made from whatever vegetables were ready to harvest. For this reason, to this day, small vegetable gardens are known as Potager. Though this hearty soup seems to have fallen out of favor in Europe, it’s found an unlikely home in Japan. How did Potage end up in Japan? Similar Western style soups were introduced to Japan as early as the time of Francis Xavier, but it wasn’t until the beginning of the Meiji Period about 150 years ago that yōshoku (洋食), or western-style food began its ascent towards the mainstream. Along with other yōshoku favorites like Hamburg Steak and Tonkatsu, Potage rode this wave of popularity into the hearts of the Japanese masses. Because the Japanese traditionally consumed miso soup along with their rice, it was a natural transition to Corn Potage as people moved from rice to toast for breakfast. These days, the soup is so popular that you can find it sold in cans from vending machines, and Corn Potage flavored potato chips and rice crackers are a thing. In 2012, things reached a new level of craziness when a popular popsicle brand called GariGariKun (ガリガリ君) released a Corn Potage flavored popsicle! The traditional way of making this new classic is to cook the corn in chicken or vegetable stock before pureeing and straining it. It’s then thickened with a roux before being finished off with cream. It’s a lot of work, which is why most people turn to just-add-water soup mixes. I wanted to see if I could simplify the number of ingredients as well as the process without sacrificing the rich taste or velvety smooth texture. I found a few tricks that cut the amount of work in half. 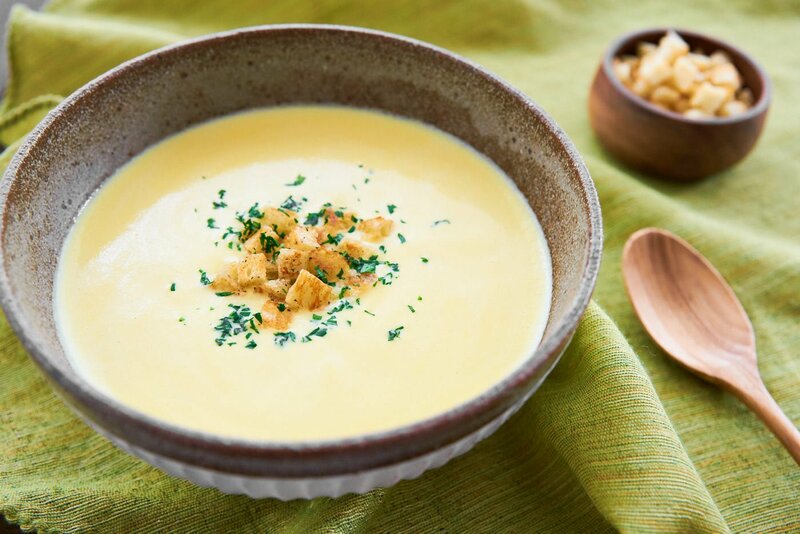 Most corn potage recipes in Japan call for adding chicken or vegetable stock as a base. I’ve found that between the corn and partially caramelized onions, there is so much umami, that there is no need to use a stock. This allows you to add milk as the only liquid, which in turn eliminates the need to add cream at the end. 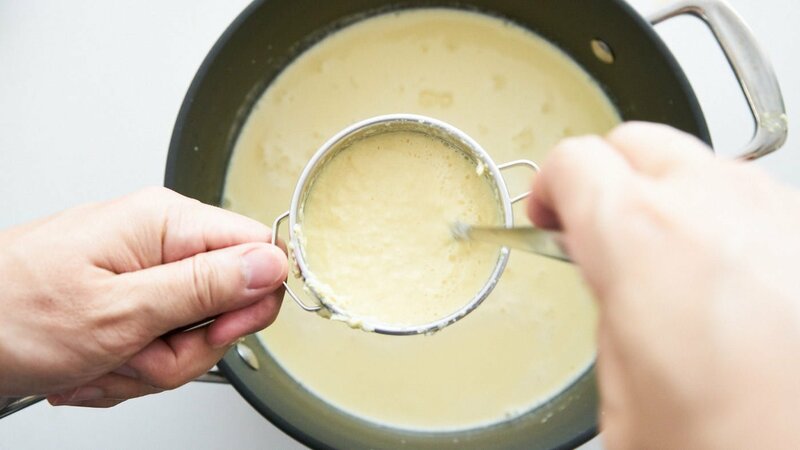 In Japan, potage is usually thickened with a flour and butter roux, but this adds both time and an extra pan to clean. I wanted to take my version back to its French roots and use vegetables to thicken it. Specifically, I chose to use potatoes as they cook quickly and the starch they contain thickens the soup nicely, without adding any off flavors. Initially, I was hoping to forgo straining the soup by pureeing it in a high-speed blender. With enough time, a Vitamix will get the soup fairly smooth; however the finished potage has a vaguely gritty flavor as the corn skins can’t be fully pulverized. If you need to save time or want to eat the extra fiber, this is an option. However, if you want to get your soup as smooth as possible, it’s better to blend the soup just long enough to puree the corn and strain the skins out with a fine-mesh sieve such as a tea strainer. 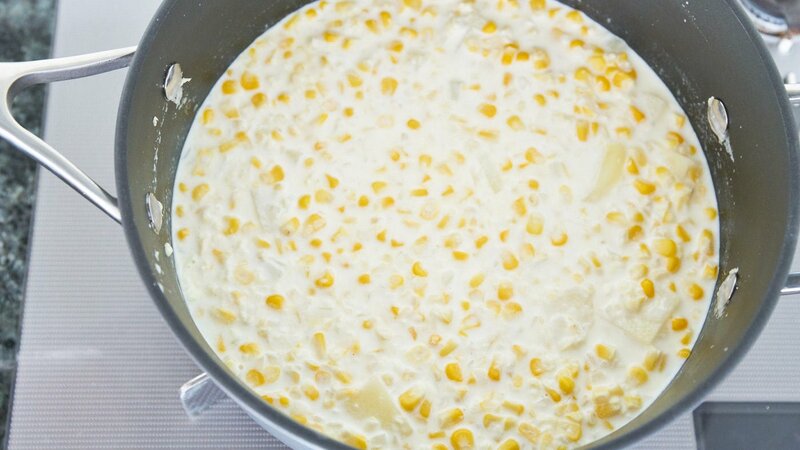 As for the order of operations, I’d initially planned to caramelize the onions and then puree it with the raw corn, potatoes, and milk before heating it to thicken the soup. In theory, this would have made the mixture easier to strain once pureed since it would be less viscous. Sadly, reality doesn’t always cooperate, and the mixture curdled when it was heated. It turns out that corn is slightly acidic, which causes the proteins in the milk to denature when heated. I thought about trying to bring the mixture to a more neutral pH using baking soda, but given that the pH of corn varies it’s simpler to cook the mixture before pureeing and straining it. I’ll work on a proper vegan corn potage at some point, but for now, if you want to make this plant-based, replace the butter with olive oil, and swap the dairy milk with your favorite plant-based milk. You can add a bit of nutritional yeast to both the soup and the croutons to amp up their umami. 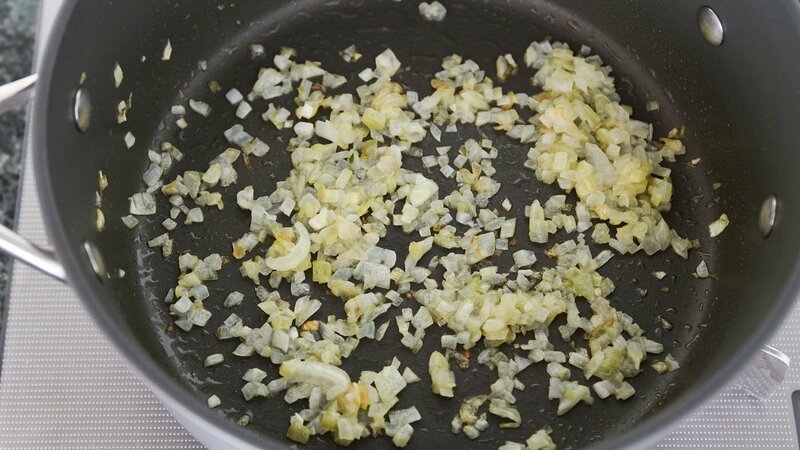 Add the butter and onions to a pot over medium heat and sauté until the onions are just starting to brown (about 10 minutes). 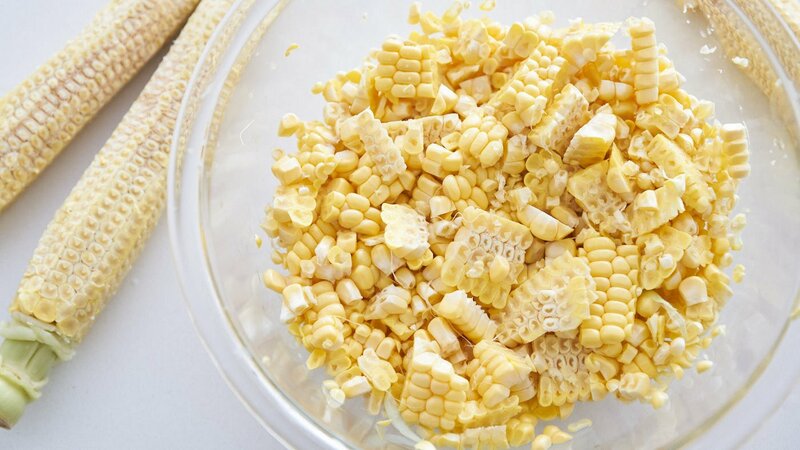 If you’re using fresh corn, use a sharp knife to remove the corn from the cob. Use the back side of your knife to scrape any remaining bits of corn off the cob. 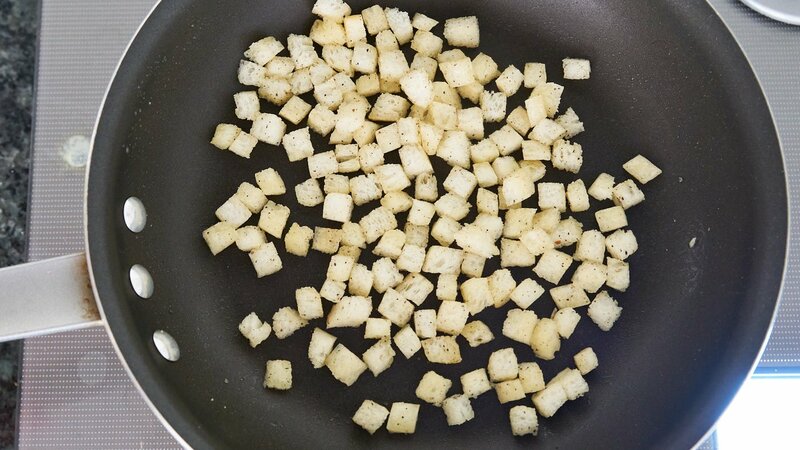 While the soup is cooking, make the croutons by melting the butter in a pan over medium heat and then adding the cubed bread. Toss to coat with the butter and then sprinkle with salt and pepper. Continue tossing until the bread is crisp and golden brown. When the potatoes are tender, pour the mixture into a heat-safe blender. Secure the lid tightly and hold a thick dishcloth firmly over the blender(this is very important as the sudden release of steam will make the lid fly off and send hot soup flying all over the kitchen). 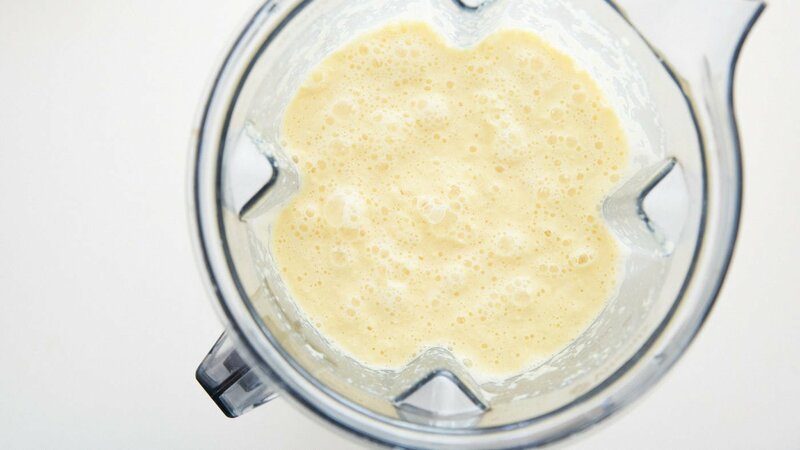 Start the blender on low and gradually turn up the speed until the soup is pureed. Clean out the pot and pass the soup through a fine-mesh strainer. Press on the solids with the back of a spoon to get as much of the soup out of them as possible. 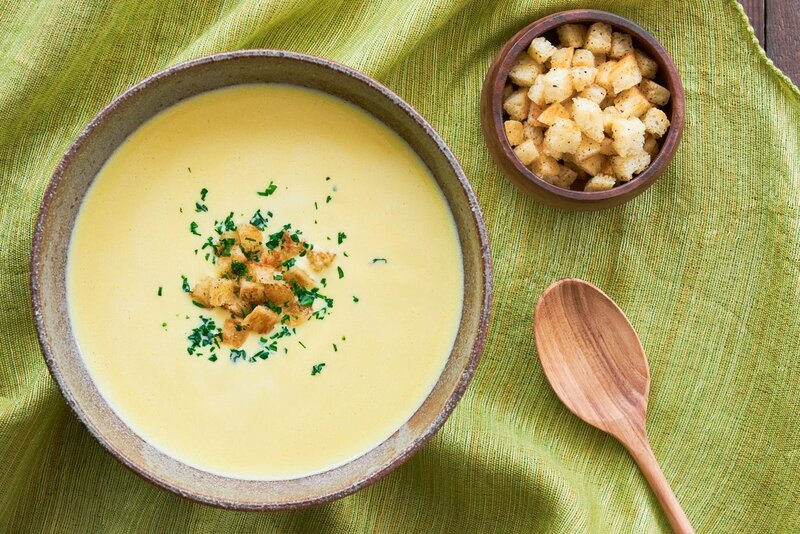 Reheat the soup if needed and serve the Corn Potage garnished with the croutons and chopped parsley.